After sticking to one brand of menstrual cups since I was a beginner, I finally decided it was time to broaden my horizons. I get so many questions in the comments of my menstrual cup videos on YouTube, and I want to be able to offer the best info and recommendations! 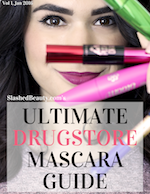 A cup that works great for one person may not jive with the next because our bodies are so different, so I wanted to explore different shapes, sizes and brands so you can make the best choices. My first venture outside of “home base” was the Lena Cup. I purchased it on Amazon for only $25, and also discovered that the brand has a 100% satisfaction guarantee. Everyone raves about their customer service, which will give you all the tips and info to help you get started with the cup. But if after a good ol’ college try, you’re still not feeling it, they’ll refund you your money. That’s not all that common in the menstrual cup space, so it’s definitely appreciated— especially if you’re still trying to find your go-to cup. The Lena Cup comes in two sizes: small and large. Most women report choosing large if they’ve given birth, have consistently high cervixes or have really heavy flows. The small size is supposed to be better for beginners and can handle light-heavy flows and cervixes of all heights. I went with the small, since it was supposed to hold up to 12 hours of blood but was still very compact. The bell shape is much different than the cups I’m used to, which are more tapered at the bottom. It also has suction holes just under the rim that I was worried about, but they ended up being incredibly easy to rinse and never clogged. The cup also features grip notches on the stem and the bottom of the cup to aid in removal. With my other cups, I have always used the punch-down or taco fold to insert, however I had a hard time getting the cup to open inside of me with the method this time around. I decided to try the “C fold,” where you bend the cup into the shape of a C, inserting the round edge first. This let the cup open easily and seal right away once inside. I noticed right away that the suction is really strong with this cup. I had to pinch it at the bottom a little bit to let air in so the suction wouldn’t be so uncomfortable. But once it was sealed, it wasn’t going anywhere. After my first insertion, I let the cup in for twelve hours with absolutely no leaks. I was active, doing squats and step-ups at the gym with no issues. The firmness of the silicone both around the rim and throughout the body of the cup help it pop open easily and keep the seal in place really well. However, it also makes it harder to break the seal once you’re ready to remove it. A little about me: my cervix sits pretty high at the beginning of my period, and lowers throughout my cycle. With this being a smaller cup, I did have to reach in pretty far with my fingers to try to find the stem to start removing it. Even with the grip notches on the stem though, I found it hard to grasp because it stretches. If I tugged on it, it would just kinda stretch and then escape my fingers since it was also slippery. I had to bear down a lot more than with other cups to help it travel toward my opening and pinch the bottom of the cup to help get it out. Even pinching the bottom was a bit difficult because it’s such a round base. Toward the end of my period as my cervix lowered a bit, the removal process became a bit easier (plus, I was probably getting over the learning curve). I think the strong suction and seal will really help for individuals who may have issues with other cups not staying in place during rigorous activity, and it was great for my workout. But the trade-off is, it’s probably harder to remove than you’re used to. Even as someone who has used menstrual cups for two and a half years, there was a learning curve to handling this cup in terms of removal. Because the cup is wider at the bottom, I never filled it more than halfway even after twelve hours. Since there was so much space left at the top, if you accidentally squeezed the cup while removing it, there was less of a chance of overflow. My removals were mess-free every time. However, I do like the small size and that it fits completely inside my body regardless of where my cervix is sitting. Both in the beginning and at the end of my cycle, I couldn’t feel it toward the opening. With taller cups, I usually end up wearing pads my last 2 days because they’re less comfortable as my cervix travels lower. With the Lena Cup, I was able to wear it during the entirety of my cycle without any discomfort. I just kept reinserting if there was any discharge, and finally removed it for good when I saw nothing left inside at the end of the day. So who is the Lena Cup for? I would say this menstrual cup is best for active people: it’s a good menstrual cup for swimmers, gym enthusiasts and people with low cervixes or cervixes that move around a lot during your cycle. 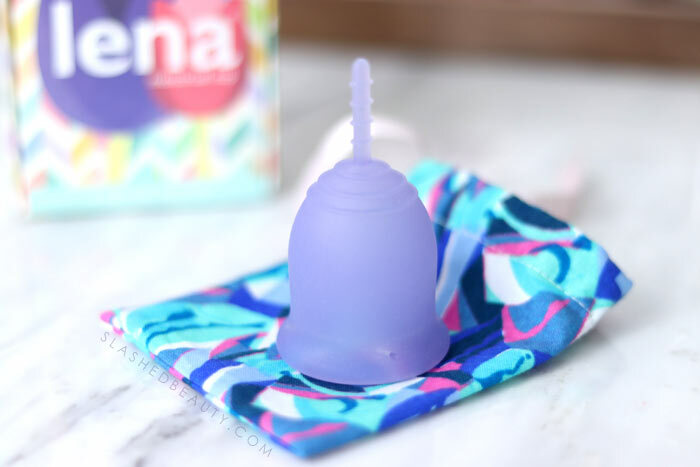 It’s not my favorite (the Lily Cup One still has that title), but I will definitely be grabbing it when I know I have an active day or if I don’t want to worry about switching to other menstrual care methods out of comfort. You can find the Lena Cup on Amazon for $24.90. They’re available in pink, purple, turquoise or clear for the sensitive model. 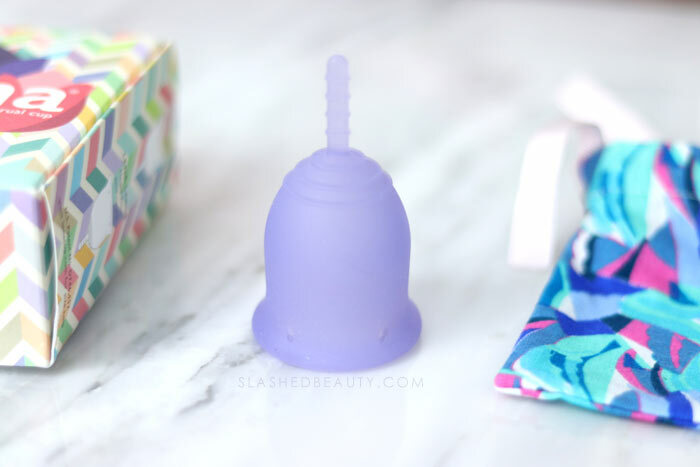 Have you tried menstrual cups yet? 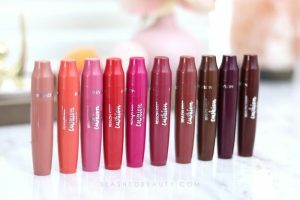 Which has been your favorite? Wow… good write up. I checked out Lena cup when I was looking for my first cup. I ended up going with Diva but later on I got a Daisycup and that’s been my so called “daily driver” cup ever since. I think it’s really great the word is getting out about cups. I mentioned it to some of my friends and they didn’t even know what it was. It’s good see so many women sharing their experiences candidly and helping to remove the stigma surrounding menstruation. Anyway, good review! I just want to say thank you for being so candid and open about using a menstrual cup. After reading a few of your reviews and spending an hour researching different brands, I found a cup that has become my bff. It’s the peach cup that has a ring at the bottom which is AWESOME and I found it kind of cool to learn more about my cycle. I’m so glad I could help you find the one for you!! 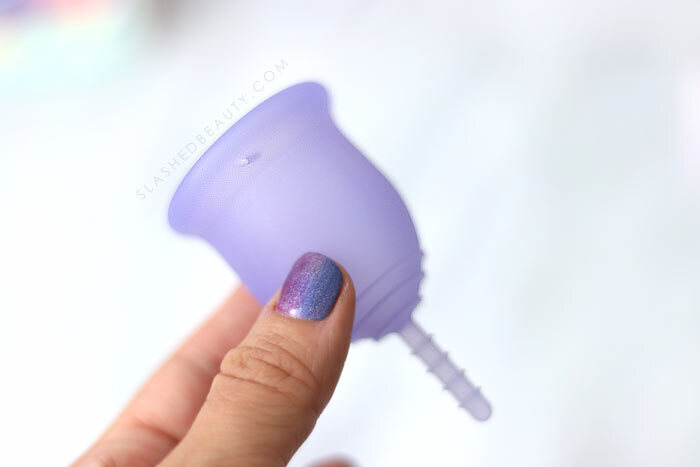 Thank you for doing this post, I’ve gave the diva cup a try and not sure if I like it mind you I have to try another cycle but I find it hard to break the suction. Getting it up there isn’t an issue for me or the performace the issues I have with them is I need to get it out!!! Took me a solid 15 min tryin to get it out in the shower and after some tears and me sitting on the shower floor I tried agian and it finally came out. Im very petite and everything about me is little if you get my drift and it’s hard. This was a great insite to another option I’ll look into when maybe purshaing a different one to try that type out. Thank you for such a great insight to something I’m highly looking into ! !